In the US, health insurance does not come cheap. Private health insurance still is more prevalent than government coverage, with the former accounting for a whopping 67% of the total health insurance in the country. As the number of people who choose to go uninsured keeps increasing year by year, the medical insurance field has become even more competitive as players try to increase their coverage base by providing better alternatives to traditional health insurance plans. Medical claims repricing is an alternative to traditional health insurance plans and offers affordable health insurance to individuals and companies. Since different pricing strategies are used for different plans, such as POSs, HMOs, etc. discounts can usually vary depending on the services rendered. One of the most common methods of repricing is called PPO health insurance claims repricing. This repricing involves applying a fee schedule such as a preferred provider organizations (PPOs) agreement to a medical claim. PPO health insurance claims repricing provides a way for insurance providers to discount their standard fees for medical claims. 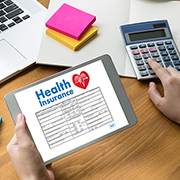 At the same time, PPO health insurance claims require a lot of paperwork and manual effort, resulting in an arduous, time-consuming process. Outsource2india is one of the foremost providers of health insurance claims repricing in India and can help you cut operational costs while achieving increased efficiency when it comes to providing health insurance claims repricing services. 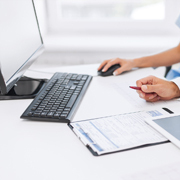 Most hospitals and private clinics are usually equipped with computerized claims processing methods which are linked to billing management software. 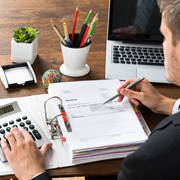 At the same time, with so much to do and with a lot of paperwork to be completed, many billing errors can crop up when the wrong treatment codes are used which do not correspond to an insurer's medical claims repricing program. This, in turn, can lead to underpayment or overpayment of charges. As a healthcare professional working with insurance billing, you are looking to reduce your administrative expenses and reduce such errors. If you are a member of a PPO network that also undertakes medical repricing, you will be constantly inundated with claims re-pricing paperwork. This could include faxing paper claims from the payer to personnel, updating patient details, etc. This can lead to higher operational costs and increased processing times. At O2I, our team of qualified medical billers knows exactly how PPO health insurance claims repricing works. Consisting of insurance data processors, claim adjusters, underwriters and ex-doctors, our team can easily handle individual health insurance claims as well as medical claims for companies within a short turnaround time. Often, repricing is done for existing products, and as a result, insurers have sufficient experience as well as readily available data for that product. However, there is a vast difference in having access to data and having access to the right data. At O2I, our express focus on high-quality data ensures that at every step of way your services remain of the highest quality, leading to better customer service. At O2I, we believe that reliable data is the most important necessity when it comes to plotting reliable insurance estimates. Since different insurers have different methods to collate and organize this data, including database management systems, TPA databases etc. We ensure this data is collected in the most efficient way possible, ensure zero loss, and maintain data parity in the form of date/month/year formats, etc. The entire process is also extremely secure. Throughout the data transfer process, we ensure that thorough checks are performed to prevent data loss. For example, if we are collecting the data from a TPA, then we first reconcile the date being transferred with the data present in the TPA's database. Then, we again perform a reconciliation check once the data has reached the insurer and then once again when the data must be presented for PPO health insurance claims repricing. During this step, we analyze various details such as total number of claims, amount paid for the claims, lives insured, policies issued, etc. and compare it against parameters such as age bands, sum insured, claims per band, etc. This further ensures that the repricing remains accurate and easy to follow for your business. 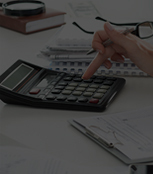 Why Choose Outsource2india for Medical Claims Repricing? Our prices ensure you never have to worry about pricing issues hampering your productivity. Our prices are extremely transparent and can be customized based upon your needs. 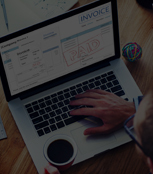 Throughout the entire process, we ensure 100% data reconciliation and data accuracy to ensure you never end up having to overpay or underpay the customers. We are an ISO 9001: 2015 certified organization and ensure high-quality services. With high-end infrastructure and numerous failsafe, we ensure that at every step of the way your data is protected and remains secure behind state-of-the-art firewall technology and is stored on redundant servers. With multiple global delivery centers, we ensure there is always a team working on your project from a location of your own choice. Benefit from a favorable time difference as you outsource health insurance claims repricing to India. We assign a dedicated project manager to the project who can supply daily reports and updates about the project, shared on time and in a format of your own choice. 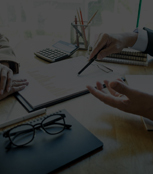 We have assembled a team of insurance professionals who have worked all over the world with national insurance providers and have garnered enough experience to take care of even the most pressing requirements. Our team of medical billing professionals has the required skills, experience, resources, and bandwidth to easily scale up the service requirement as and when the client needs it. A leading medical billing company was looking for a partner who could reduce their AR days considerably. Our team provided the services within a quick time. A leading medical billing company was looking for a service provider who could provide medical billing services using AdvancedMD software. Our team helped the client with their requirement. I wanted to let you know that I appreciate your efforts getting my clients coding current and working with me during my company's extreme changes starting at the beginning of this year. With Outsource2india, you can not only uphold, but surpass your business objectives by focusing on operations that matter and are directly tied to your bottom line. We employ global medical insurance service experts and our healthcare BPO services have helped more than 9500 clients worldwide and can help you achieve success in the insurance field. Contact us now and learn more about how we can help you value claims by repricing them accurately.